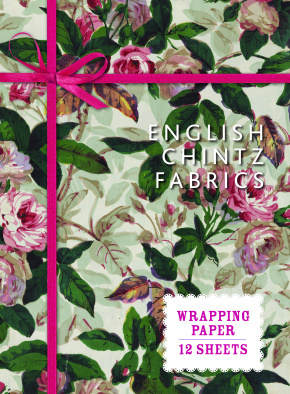 Wrap your gifts in this stunning gift wrap featuring traditional 19th century English chintz fabric from the Victoria and Albert Museum, London. The V&A is the world’s leading museum of art and design with collections unrivalled in their scope and diversity. It was established to make works of art available to all and to inspire British designers and manufacturers. Today, the V&A’s collections, which span over 2,000 years of creativity in virtually every medium and from many parts of the world, continue to intrigue, inspire and inform.